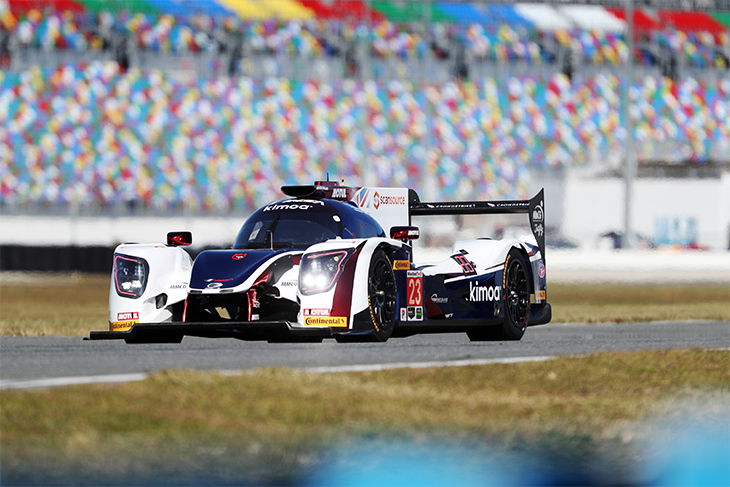 While it’s unclear just how competitive the LMP2 cars will be in the IMSA WeatherTech Prototype class after the Action Express, Spirit of Daytona and Wayne Taylor Racing Cadillac DPi V.Rs with the car’s newly homologated 5.5-litre V8 engine topped the times in every session at the Roar test, United Autosport and its star debutant are still pushing hard. 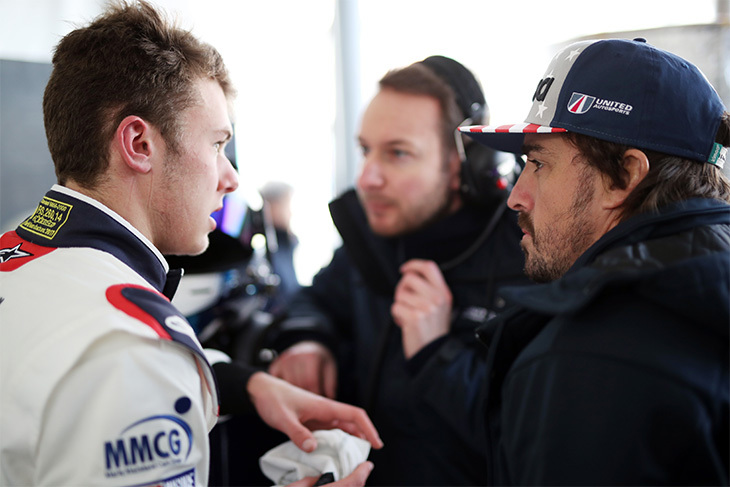 Two-time Formula One World Champion Fernando Alonso, who will drive with Phil Hanson and Lando Norris in the #23 United Ligier JS P217 had a poised and relaxed debut sportscar weekend in the public eye. Last weekend’s Roar Before The Rolex 24 Hours saw the Spaniard experience his first full event with the Anglo-American sportscar team, as he prepares for his first twice-around-the-clock race later this month, and clocked in 64 laps of the Daytona International Speedway. 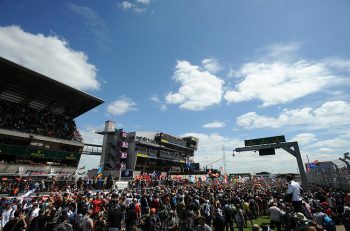 While 64 laps may sound like a lot, over three days, it isn’t, especially when driving an unfamiliar car. Clearly aware he’d need to share the wheel with Hanson and Norris, Alonso was says he was still surprised at just how little track time he got in the JS P217 during the Roar. 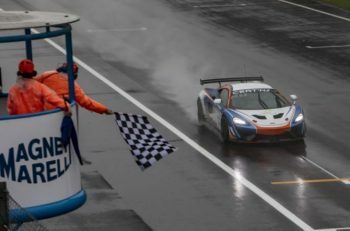 Alonso’s best time was a 1:37.515, which put him fastest of United Autosports’ six drivers, which let’s not forget, includes ex-F1 driver Paul Di Resta and young hot-shoe Lando Norris. It also put him 21st of the 66 drivers who took part and set times and under two seconds off Felipe Nasr’s 1:35.806 in the Whelen Engineering Cadillac, the fastest time of the weekend. 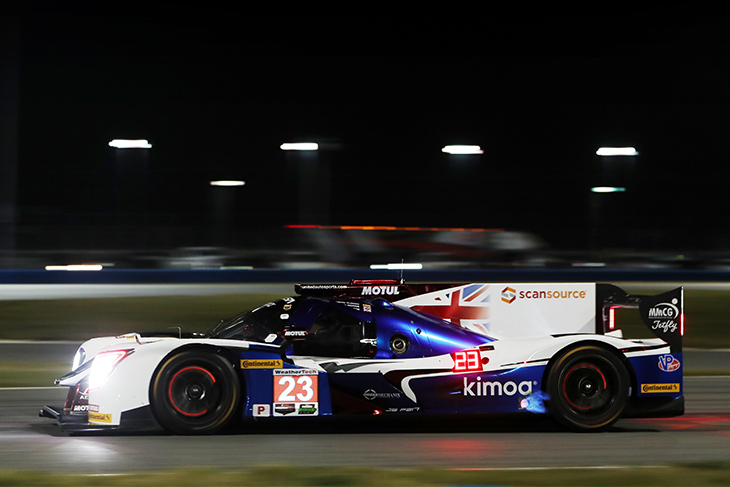 While arguably the biggest obstacle for Alonso in the Rolex 24 Hours will be adapting to spending far more time in a car in one go over the course of the race, getting used to driving at night and through slower GT traffic is also something he must master. The night session on Saturday went well, his experience driving under floodlights in F1 coming in handy, but he says there’s still some adapting to do when managing traffic. “The night running was good, it was not a big difference to the day time. In F1 we have night races in Singapore, Abu Dhabi, Bahrain, and the circuit is quite well illuminated here. It’s not like other endurance circuits, I found no issues. During his Indy 500 experience, Alonso praised the paddock atmosphere for its more open attitude when it comes to fan interaction. 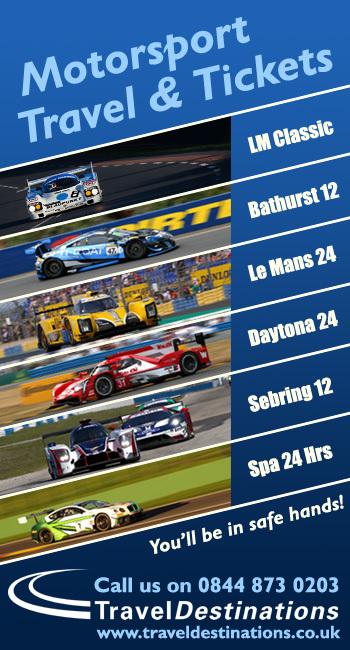 In IMSA (and sportscars as a whole let’s not forget), that’s no different. 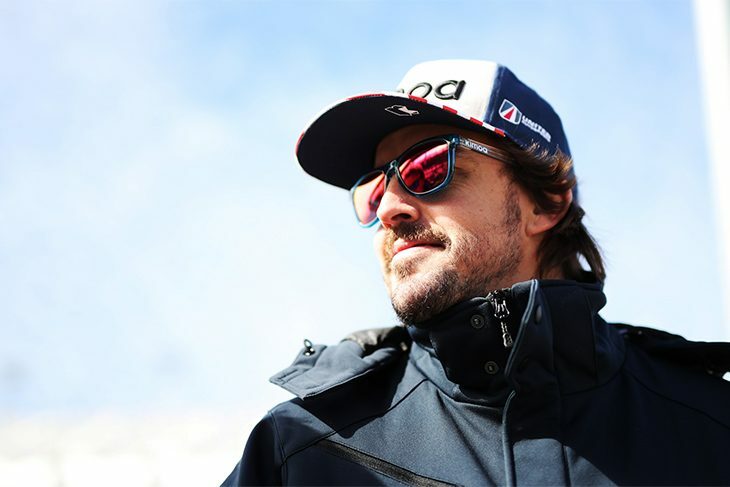 As well as showing off his talents and gunning for a result in America’s premier long-distance race, Alonso says he relished the chance to connect with fans during the Roar and is looking forward to race week in Florida. “They (the US fans) were great, it was a very nice welcome,” he concluded. “There’s a lot of IndyCar fans here bringing the replicas to sign, and a lot of #29 shirts. It was good to experience it once more.